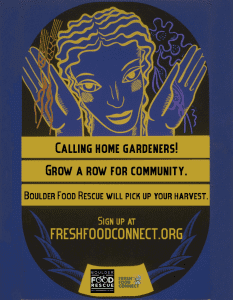 Grow a row for community and donate your home grown produce this season through Fresh Food Connect! 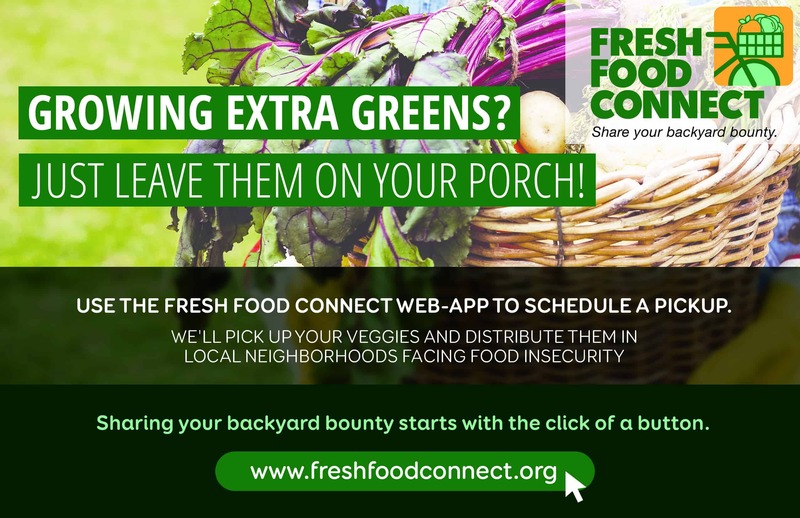 Fresh Food Connect utilizes technology to solve two problems — excess garden produce and food insecurity. If you have extra produce, you can schedule pickups via the Fresh Food Connect web-app. Then, our courier team will pick up the produce on bicycles and distribute it in local neighborhoods facing food insecurity. Enter your zip code to schedule reminders for when we will be in your neighborhood this spring!